Laravel has shaken up the PHP community in a big way – especially when you consider that version 1.0 of Laravel was only a couple of years ago. It has been generating a lot of buzz with the promise of making web applications fast and simple to create. Using Laravel, you can build and maintain high-quality web applications with minimal fuss. 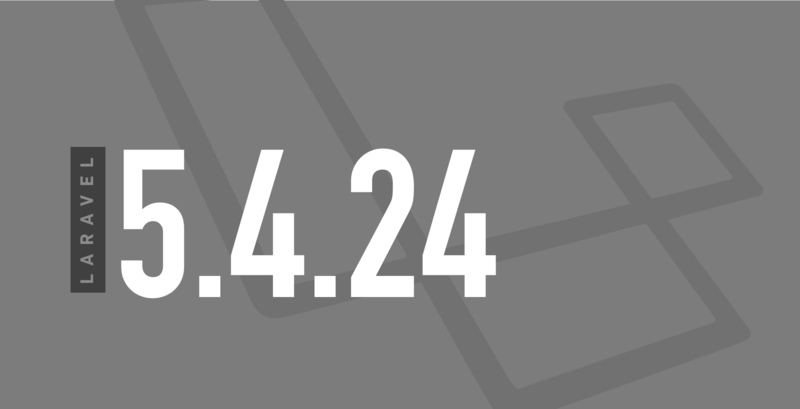 Laravel 5.4.24 is now released and available for all. This release adds support for magic controller methods, a Request::routeIs() method and more.